Dr. Feelgood: Dealer or Healer? is the thought-provoking documentary about Dr. William Hurwitz, who was convicted of over 50 counts of narcotics distribution for too generously prescribing painkillers to his patients, which ended up landing him a 25-year prison sentence. Director Eve Marson has approached the ethical dilemma of prescribing versus denying patients painkillers by weighing in the pros and cons of using them, allowing both sides of the story to be told. 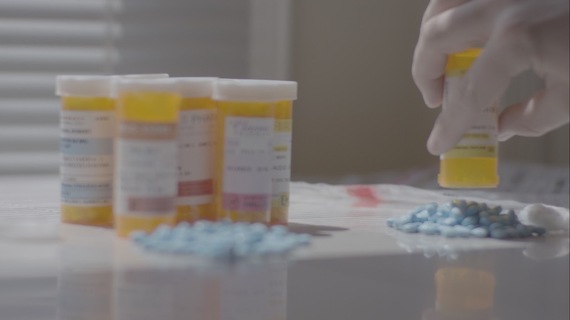 The documentary is an important addition to the current discussion abut the opioid epidemic, which is claiming more lives than ever in the U.S. According to the Centers for Disease Control and Prevention (CDC), the number of overdose deaths involving opioids (including prescription opioids and heroin) has quadrupled between 1999 and 2015. Drug overdoses claimed half a million lives between 2000 and 2015, and the majority of these deaths (more than six out of ten) involved opioids. That's 91 Americans, every day, succumbing to opioid overdoses. The quadrupled overdoses since 1999 correlates with a quadrupled increase of prescription opioids sold in the U.S. during that very same timeframe, including oxycodone, hydrocodone, and methadone, and yet there has not been a change in the amount of pain that Americans report. So why would a highly esteemed professional such as Dr. Hurwitz prescribe such vast amounts of painkillers to his patients? The film offers different explanations by showing contradicting testimonies from the witnesses. Their accounts of him reveal a compassionate, yet flawed, doctor, but there is no easy way to determine what's right and wrong. A patient has a right to pain relief, and there is no way to measure pain, especially chronic pain, other than to take the patient's word for it. On the other hand, generous prescriptions have tempted patients to become drug dealers, and obviously, there is a lawful need for drug control. For example, the film states there were six or seven suicides immediately following Dr. Hurwitz's arrest by patients unable to live with their pain when he wasn't able to supply relief anymore. But the film also reveals the doctor's stubborn belief in patients where evidence suggested the opposite, such as the story of one patient who entered the office with a limp. When secretly followed from the office to his car, his limp all but disappeared. Why wouldn't this set off any alarm? The film also offers the perspective of the profit generated from having 500 painkiller addicts returning every month renewing their prescriptions as a possible incentive, since each visit generates $250 for the office. The documentary doesn't necessarily leave us any wiser regarding Dr. Hurwitz's motives, but we do have a better understanding of the complexity of the situation. It's not easy to determine what's the right thing to do, even with the best of intentions. What we do learn though is to be very careful with opioids -- the new 2016 guidelines is not to take them any longer than 3-7 days following an injury. They are highly addictive and the amount needed to sooth the pain quickly escalates. On the streets, the drug has become known as "Hillbilly heroin." It can be snorted or injected and has led to many pharmacy robberies with the sole purpose of getting opioids. But sadly, there is still no consensus for how to treat chronic pain. Dr. Feelgood: Dealer or Healer? has two special screenings coming up: 1) in San Francisco on January 7 featuring a special Q&A afterwards with the director Eve Marson, producer Sara Goldblatt, and executive producers Dr. Alison Block and Dr. Timothy Poore (for more information click here); and 2) in Los Angeles on January 11 (for more information click here). Beginning on January 31 the film will be available for digital streaming via its distributor Gravitas Ventures, and the film may be pre-ordered through iTunes in the U.S. by clicking here; or in Canada by clicking here.